New York City-based developer Don Sinex says construction is now complete on a sprawling new apartment in the heart of downtown Burlington. Sinex cut the ribbon Friday on his Holesome Living Community, a gaping 10,000-bedroom, 1-bathroom apartment tucked between Cherry and Bank streets. “This amazing piece of real estate will not only help to ease Burlington’s affordable housing shortage, its rental fees will provide the remaining funding necessary to complete my CityPlace project,” he told reporters. Although technically a single apartment, Sinex says Holesome Living Community’s unique design will allow thousands of people to live together holistically. Sinex claims his structureless apartment is the first of its kind and a perfect fit for a forward-thinking city like Burlington. “Sure it’s unconventional, but when you take a step back and consider the hole picture, this apartment proves my unwavering commitment to this community,” Sinex said. “Nothing builds a sense of community quite like sharing a space with 9,999 roommates and not a single wall. Sinex also pointed out that the apartment includes a near limitless supply of dirt, which will provide its inhabitants with a wonderful opportunity to plant a community garden. When asked how the wall-less space would stay warm during the winter, Sinex touted the apartment’s cutting-edge open-flame rusty barrel heating system. Critics of Holesome Living Community were quick to accuse Sinex of skirting multiple building codes in a desperate rush to finish the apartment and secure financing for his troubled CityPlace project. But Sinex claims his motivations are purely community-driven. 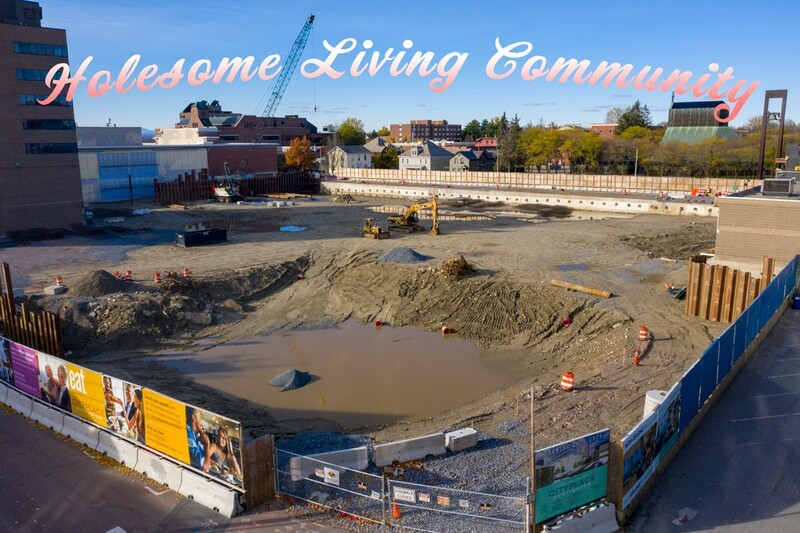 Holesome Living Community is now accepting applications with rents as low as $1,200 per month. Pets and smokers will be considered on a case by case basis. For more information, visit plunderburlington.com. The Parmelee Post is an occasional series featuring tough investigative reporting on news that hasn't happened.